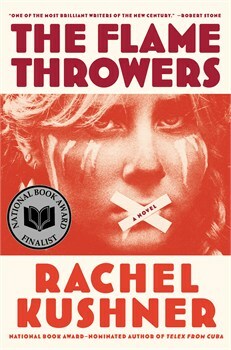 What I’m reading: The Flamethrowers (Scribner, 383 pp., $26.99), by Rachel Kushner. What it is: A Didion-esque novel about young filmmaker and motorcycle enthusiast who moves in 1975 from Nevada to Lower Manhattan, where she has an affair with an artist from a family of Italian industrialists who have grown rich by exploiting the poor. Kushner’s protagonist finds herself swept up in dangerous currents of radical politics when, while she and her lover are visiting his mother in Bellagio, factory workers go on strike and the Red Brigades step up their campaign of terror against Italy’s elite. Why I’m reading it: The Flamethrowers has been longlisted for the 2013 National Book Award for fiction. NBA nominations have been spectacularly unreliable — and, at times, disastrous — in recent years, but some reviews suggest that this novel deserves the recognition. How much I’ve read: Nearly all. Probability that I will review the book: High, especially if it makes the National Book Awards shortlist. Jan is an award-winning critic and former book columnist for Glamour. You can follow her Twitter by clicking on the “Follow” button at right. All That Is: A Novel. By James Salter Knopf, 304 pp., $26.95. All the world’s a stage, and set decoration matters: This theme has surfaced again and again in the fiction of James Salter. It returns with a vengeance in this novel about the sexual misadventures of an editor at a high-toned New York publishing firm in the four decades that follow World War II. As a young naval officer, Philip Bowman survives a kamikaze attack on his ship in the run-up to Okinawa. Any psychic wounds he suffered don’t keep him from subsequently gliding through Harvard and into an affair with Vivian Amussen, whose rich father owns a 400-acre horse farm in Virginia. Bowman hears no alarm bells when, on visiting the Amussen estate for the first time, he notices an indifference to the comfort of others: Behind a couch in the living room lie dried dog turds “as in 17th-century palaces.” On the contrary, the rising editor seems drawn to Vivian in part because the backdrop for her life differs so markedly from that of his upbringing in New Jersey. He has little enough self-awareness that when their brief marriage ends, he allows appearances to lead him into a series of other love affairs that end in disappointment, if not betrayal. Salter suggests that Bowman stumbles because his father abandoned the family two years after his birth: He “never had a strong masculine figure in his own life to teach him how to be a man.” His protagonist is a watered-down male counterpart to one of those Henry James or Edith Wharton heroines whose assets don’t offset the lack of a mother to stage-manage her courtships. But Bowman doesn’t develop as a character as Catherine Sloper and Lily Bart do. He pays for his misjudgments not with the loss of hope or life but with the loss of a piece of set decoration for his bed-hopping — a second home in the Hamptons that he owned for a year before an ex-lover wrested from him with fancy legal footwork. He avenges the incident with a shocking act of cruelty to his former paramour’s daughter but assumes no moral responsibility for his caddish behavior and faces no serious consequences for it. Best line: “ ‘You know, you haven’t changed a bit. Except for your appearance,’ he said.” A rare flash of humor in All That Is, although Salter may not have intended it that way. Worst line: “It was a departure of foreboding, like the eerie silence that precedes a coming storm.” “Eerie silence” is a cliché, and “coming” is redundant. Jan is an award-winning journalist and former book editor of the Plain Dealer in Cleveland. You can follow her on Twitter by clicking on on the “Follow” button at right. There’s a lot of competition for the title of the Worst Publishing Trend of the 21st century. 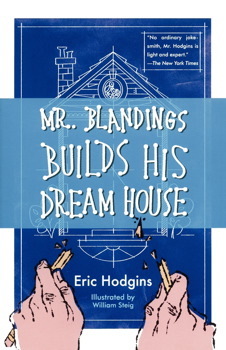 Best sellers written at a third-grade level. Ebooks with no proofreading and bad formatting. Pink covers on novels by women when books of comparable quality by men don’t get bound in baby blue. Then there’s a trend that, if less obvious, may be the worst of all — the increasing practice of labeling novels either “literary” or “commercial,” or high or low culture. The trend gained force about two decades ago as the largest bookstore chains were becoming more important. And it may exist in part because when you have thousands of feet of floor space to fill, you need an easy way to classify books. But if the “literary” and “commercial” labels help big-box stores, they hurt others. The artificial divisions set up misleading expectations. All novels don’t fall neatly into one of two categories. The terms “literary” and “commercial” – if they are valid at all – aren’t absolutes. They are points on a continuum. Some “literary” novels sell millions of copies, and some “commercial” never find a following. And the terms often have little to do with the quality of a book. Complaints about this taxonomy typically come from authors who rightly or wrongly see themselves as misclassified as “commercial” when they deserve better. So it’s refreshing that the late John Updike – as “literary” as they come – takes stand on the issue in his posthumous essay collection, Higher Gossip. Updike writes: “I am dismayed by the recent rise of the term ‘literary fiction,’ denoting a genre almost as rarefied and special and ‘curious’ in appeal, to contemporary Americans, as poetry.” His words a welcome reminder that no authors – even members of the publishing elite – benefit from capricious labeling. Carry the One. By Carol Anshaw. Simon & Schuster, 253 pp., $25. You might expect a lot of drama in a novel in which the three main characters have the names of opera figures or variations on them. But Carry the One inverts the structure of the warhorses it invokes – Carmen, Nabucco and Lucia di Lammermoor. The dead bodies in those operas don’t arrive until the third or fourth act. A 10-year-old girl dies in the first chapter of Carry the One after being struck by a car full of stoned and drunken guests who have just attended wedding of Carmen Kenney at a farm near Chicago in 1983. That event turns out to be the high point of the dramatic action in a novel that for all its eloquence, has an unsteady forward momentum. For the next 25 years the post-wedding tragedy will recur like a dark musical motif in the lives of the bride and her adult siblings, Alice and Nick. Each of the Kenneys faces a crisis with a perhaps unintentional operatic counterpart. As her namesake spurns a soldier for a toreador, Carmen finds herself betrayed by her unexciting husband. As Lucia longs for the lord of Ravenswood Castle, Alice pines for an absent lesbian lover. And as Nabucco goes mad, Nick suffers from a mind ravaged by drugs. All of this finds its theme in an idea central to Gounod’s Faust: the power of time to lift, add to, or reshape burdens. In affairs of the heart, a character says, “Time is always a player.” And “player” has a double meaning: Time affects destiny, and it plays with us. Carl Anshaw develops her theme with wit and intelligence. She has the literary equivalent of a gift for bel canto, an operatic form marked in part by its elegance of phrasing and purity of tone. Carry the One abounds with writing layered with meaning, beginning in its first sentence: “So Carmen was married, just.” Does the “just” mean “recently,” “barely,” or “only”? The scene can support all of those meanings. Appealing as it is, Anshaw’s bel canto writing style makes an imperfect vehicle for a story with grand opera undertones. Her plot unfolds over so many years that she can’t dramatize all of the changes her characters undergo and at times relies on flat exposition such as, “She knew Carmen tortured herself for letting them all leave the farm that night in a car running with just fog lamps.” She also distributes weight of her story over so many major and minor characters — with frequent jump cuts from one to the next — that none acquires a poignancy befitting its tragedies. And the self-absorption of the Kenney children’s parents tends to cloud the motives of the younger generation: You’re never sure whether the heavy shadow over their lives results from their upbringing or the fatal crash in the opening pages. But you don’t to operas for plots that make sense in conventional terms. Would all of Seville really be falling at the feet of an overconfident barber like Figaro? Shouldn’t Lucia di Lammermoor know right away that the forged letter is a trick to keep her from marrying Enrico? And why can’t a smooth operator like Carmen keep herself out of trouble? No, you go to operas for beautiful singing. And Carry the One has a through-line of it. When Carmen becomes a single parent, she finds that “she had lost her advantage against daily life”: “Weeks, whole months passed beneath her notice, or off to the side while she was on the game show of her life. She ran from pillar to post then on to the next pillar, ringing bells, pressing lighted buttons and buzzers, making wild stabs at answers to questions she wasn’t sure she had heard correctly, walking when she should be skipping, speaking when a song was expected. That show was called Single Parenthood.” Has any single parent not had moments like that? Carry the One has such descriptions on nearly every page. And that, in operatic terms, is beautiful singing. Reading group guide: A Totally Unauthorized Reading Group Guide with discussion questions for Carry the One appeared on One-Minute Book Reviews on May 8, 2012. Furthermore: Anshaw is a Chicago writer and painter who wrote Aquamarine and other books. She won the Nona Balakian Citation for Excellence in Reviewing from the National Book Critics Circle. The Metropolitan Opera site includes synopses of Carmen, Lucia di Lammermoor and Nabucco. Janice Harayda is an award-winning critic and former book editor of the Plain Dealer in Cleveland. You can follow Jan (@janiceharayda) on Twitter by clicking on the “Follow” button on this page.